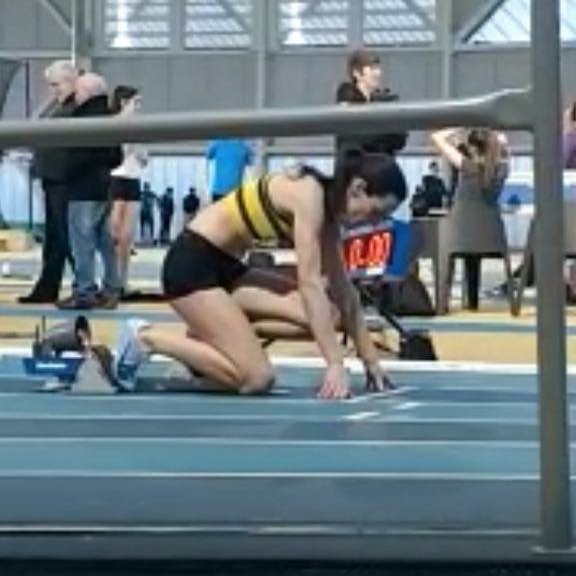 Annette Quaid set a new 400m Indoor National Record of 1.00.69 in the women’s F40 category, in Round 1 of the National Indoor Leagues at the National Indoor Arena, last Saturday. The women’s 400m was an open event at the meet. Annette’s time of 1:00.69 improved on Niamh Fitzgerald’s (Lucan Harriers AC) time of 1:02.42, set at the same venue on March 20th 2016. At the same meet Joan Healy had an impressive opener to her season, winning the 60m sprint in 7.46. It was good to see Louise Shanahan back on the track running the 800m. Louise won, picking up maximum points for Leevale. Una Samuels rounded off the max points scores with a win in the women’s pole vault with 2.90m.